The Coventry City of Culture Trust is carrying out an audit across the city to discover what spaces, places and venues could stage a wide range of events or activities during 2021. The Trust is asking members of the public to complete a survey to ensure that places aren't missed as they begin to plan the programme for the momentous year. Anyone who completes the survey will be put into a prize draw to win an experience at Escape Live. Laura McMillan, Director of Operations and Legacy at Coventry City of Culture Trust, said: "Coventry is full of interesting places and spaces which may be utilised in 2021, and we'd love to hear about locations which the people of our city would like to see feature in our year as UK City of Culture. "We want to hear your thoughts on spaces that are interesting, unusual, loved or in need of a little TLC. Don't worry if the space isn't used for any kind of cultural activity at the moment; if it's a space you think could be useful, we want to know. "It could be a significant building or vacant site, an outdoor public space or a local haunt that could be transformed to serve your community in 2021. "Whilst we have engaged with lots of people so far, this is a brilliant way to find out from the public about the places and spaces that haven't been previously on our radar." The Trust is working with We Made That in order to scope the city and discover possible locations to stage parts of the programme. Through that work, 230 spaces for potential cultural programming in 2021 have already been identified and it has highlighted innovative and unconventional sites such as underpasses and undiscovered public realm. A large number of potentially available vacant sites have been found, which could be used to host large-scale cultural events. 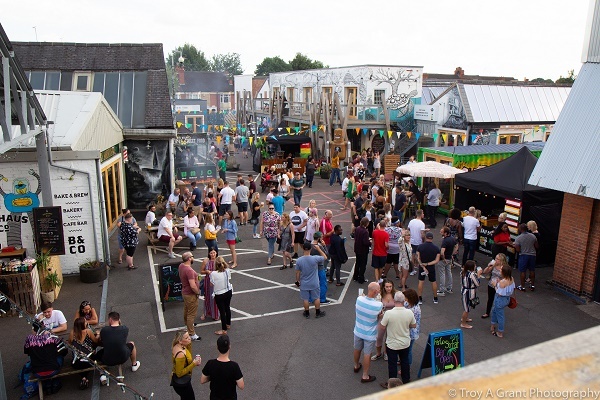 The work has also uncovered opportunities for spaces that could host temporary structures, and strong opportunities for the development of public and street artworks have also been located. Oliver Goodhall, of We Made That, said: "Our mission has been to find and uncover spaces in Coventry. This has involved a wide-ranging search and on-the-ground visits, but we're sure the people of Coventry will reveal even more than we've found so far. We're fascinated to see what will be highlighted!"